The sun starts to set over New York City and Midtown Manhattan. 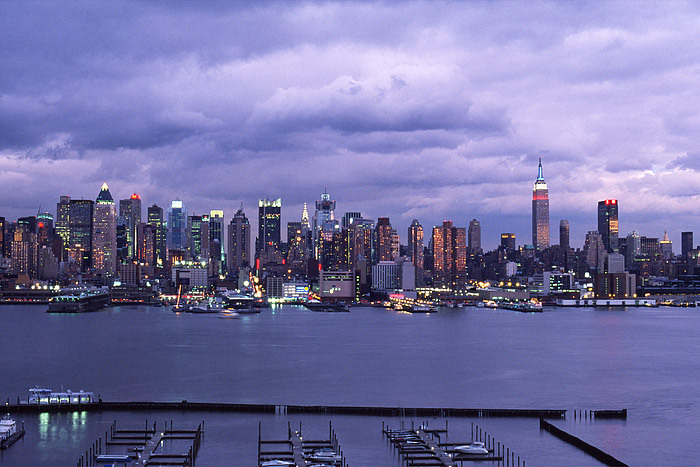 The Hudson River reflects the pastel colors as the sun dips below the western horizon. Photo © copyright by Thomas Mangan.